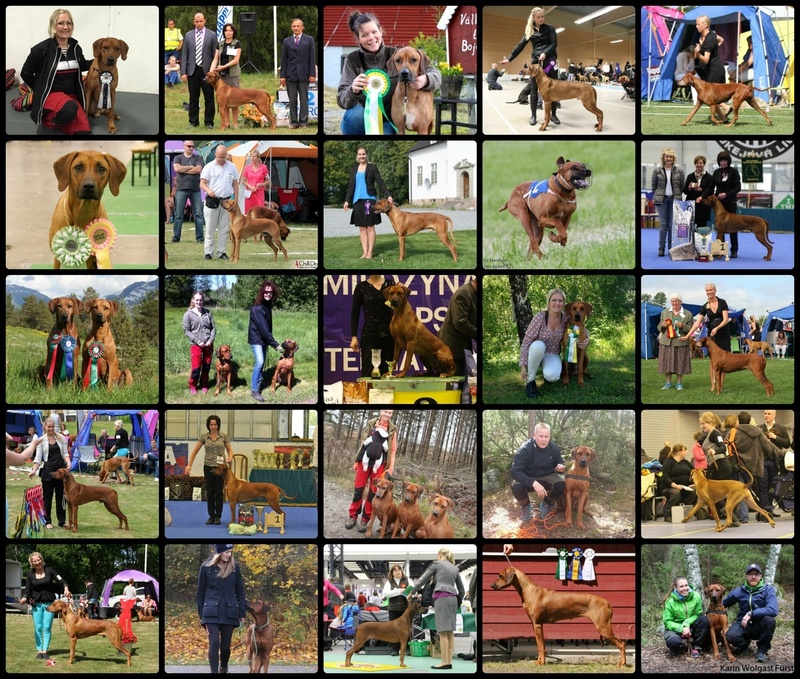 Every year I try to write a little summary of the year that has passed, to just remember some of the highlights for me, my own dogs and my breedings. Now, having soooo many wonderful dogs and owners out there it is hard to mention everything. But below are at least an attempt of summery of some of our biggest highlights this year! Thank you to all my puppybyers for giving me a reason to write this every year and for filling my homepage with lots of great results and lovely photos! I wish you all the best for 2015! What a great year we have had! As always I am happy to see some of my gorgeous breedings running around showing off in the rings around the world. I myself haven't been extremely active with shows this year but still more than happy with the results of my own girls. Except for this my Elvis-litter and Fire-litter are now all X-rayed with very nice results. 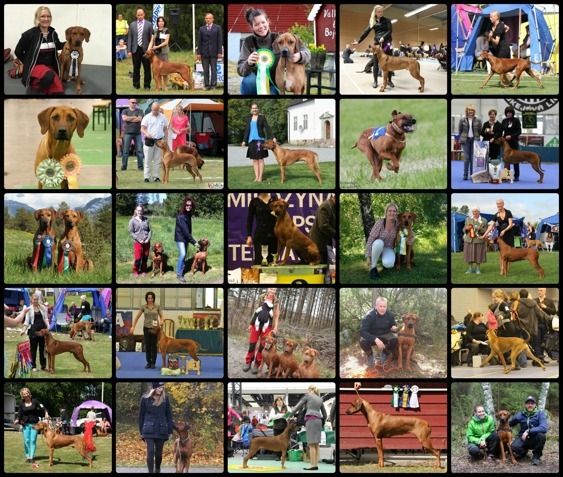 We have also recieved nice healthtestresults with all good results for some of my breedings. Parts of the Elvis-litter also did their BPH (mentality) test this year with good results. I am very happy with all our lovely results for 2014. In many ways I will look back at this year and smile from the memories. 2014 was also the year that I gave birth to my own daughter Ellen, but also said goodbye to my greatest love Dando. So in many ways I have mixed feelings about this year, but overall I am happy, and I know Dando in some way will always be with me, a dog like that never leaves your heart. I now look forward with 2015 already starting off in a wonderful way! Keep checking in for latest news from the Kadamopack!